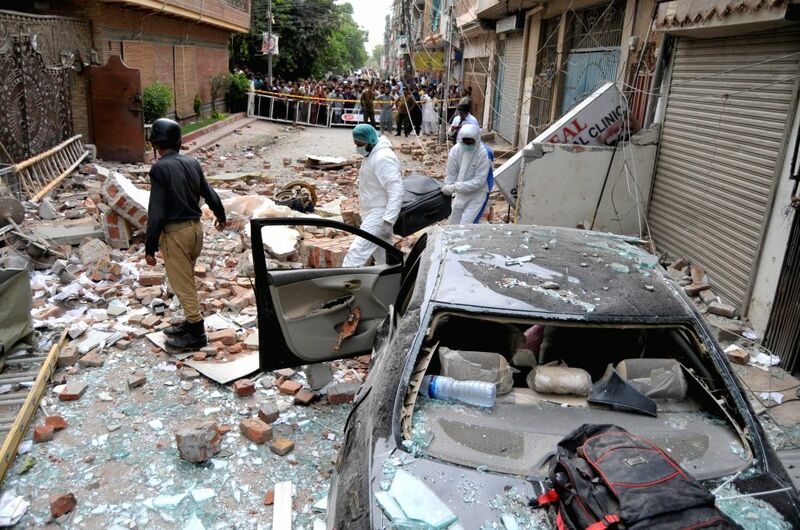 MULTAN, July 16, 2018 - People gather at the blast site in central Pakistan's Multan on July 16, 2018. 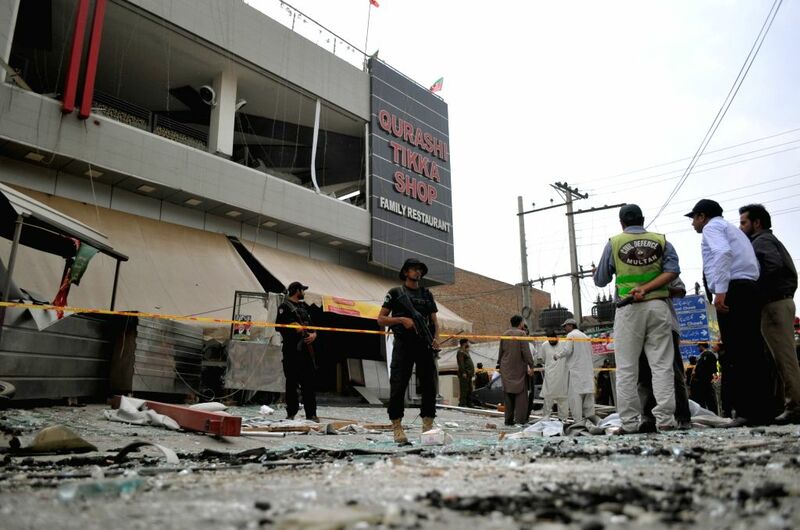 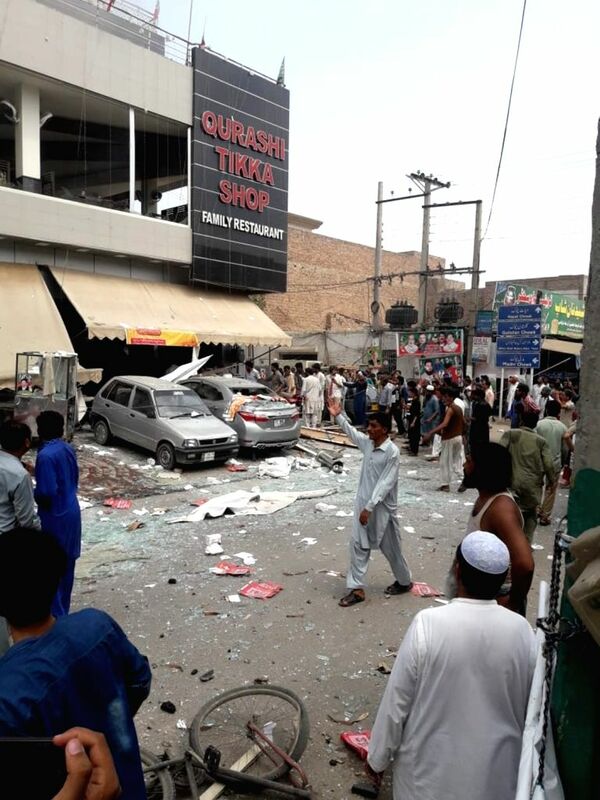 At least three people were killed and 25 others injured when a blast hit a restaurant in Pakistan's central Multan district on Monday, local media reported. 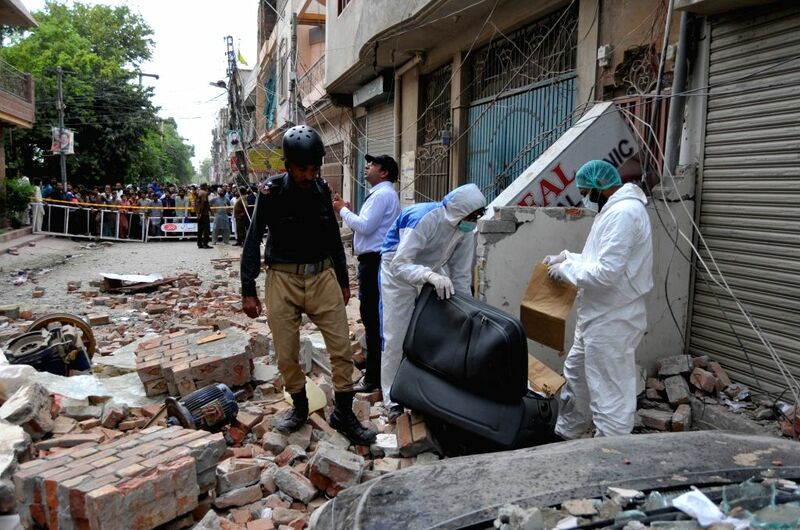 Security officials examine the blast site in central Pakistan's Multan on July 16, 2018.